Take it cheesy with these five serving pieces perfect for everyone’s favorite snack. This cheese set from the Monaco collection includes four mini knives: a Parmesan cheese knife, spreading knife, cheese knife and a cheesy knife. 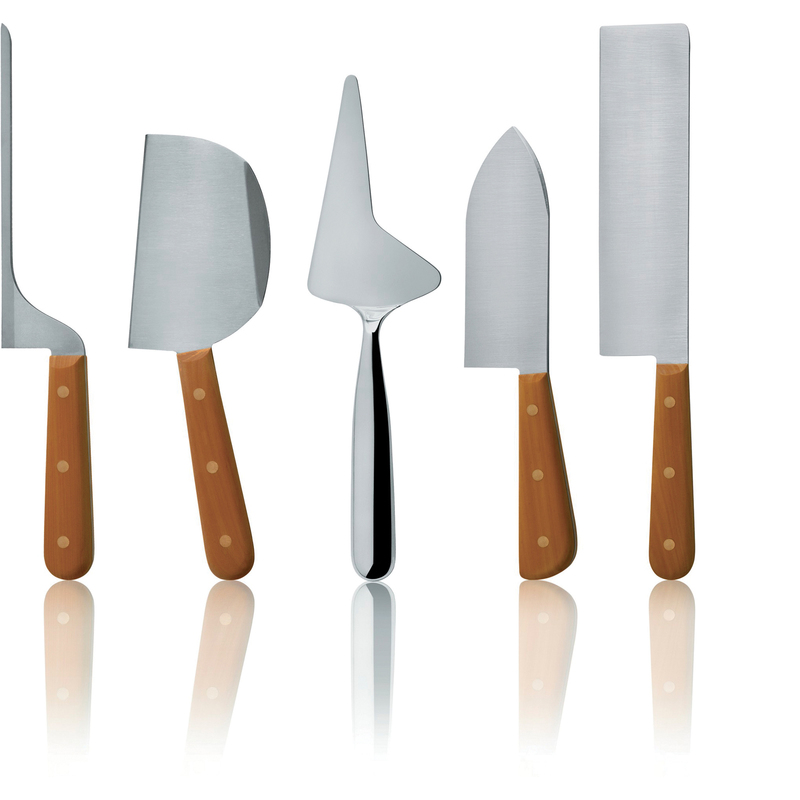 All of the knives are high-quality stainless steel, and designed to serve all types of cheese, from soft spreadable to very hard. Sleek, modern, and all around classy.